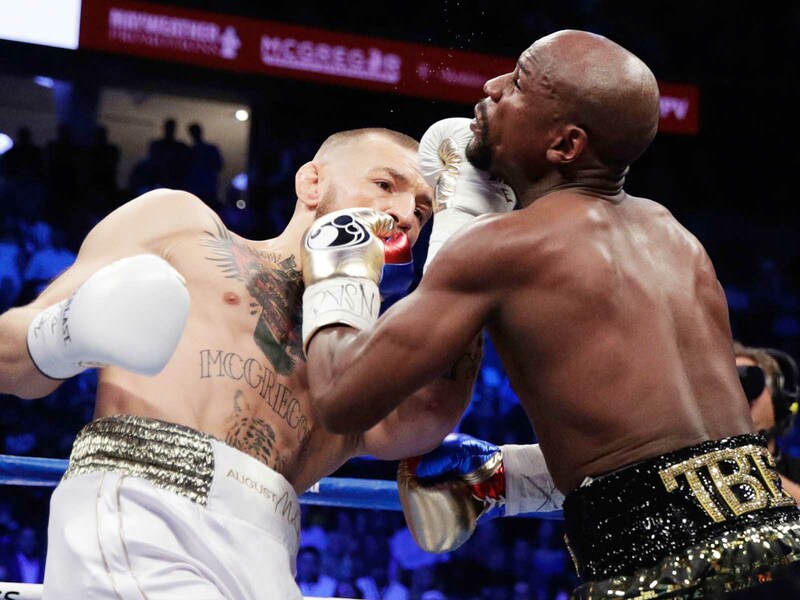 Those who watched this bout can say they witnessed history, with Mayweather’s victory taking him past the late Rocky Marciano’s perfect 49-fight record. And this may yet be the richest fight ever, surpassing the reported $620m (£480m) earned by Mayweather’s win over Manny Pacquiao in 2015. But with only 14,623 people in the 20,000-seat arena, there will be criticism of high ticket prices – and the atmosphere suffered as a result. As US news networks set up studios on Vegas’ strip in the build-up, debate over the legitimacy of the fight dominated. MMA guests said boxing was dated, and were accused of speaking with an ignorance of the sweet science. One pundit said Mayweather would look like Michelangelo against a man whose boxing style would be “paint by numbers”. Elsewhere, local airports adopted emergency measures to deal with an influx of high rollers, while sportsbooks on the city’s famous strip were braced for record stakes. But could the hype be justified? Was Mayweather too old? Would McGregor’s relentless undermining of his rival work? It showed, though ‘The Notorious’ has captured the imagination of new fans and will be considerably richer – both financially, and in ring craft – for taking on such a challenge.